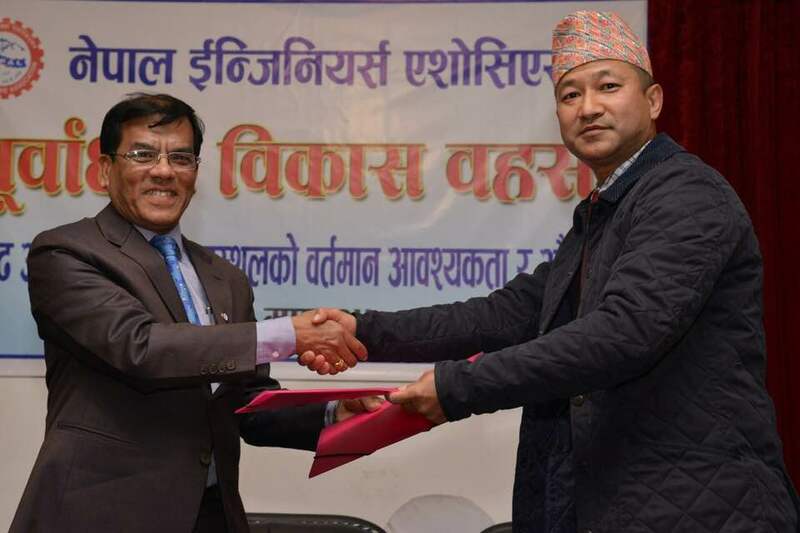 Nepal Engineers Association (NEA) signed an MoU with Society of Nepalese Engineers UK (SONEUK) to achieve their common goals and enhance the professional activities in Nepal. Dr Tri Ratna Bajracharya (President , NEA), Shailendra Kaji Shrestha (Presiednt, SONEUK), Chhabi Raj Pokhrarel (General Secretary, NEA) and the members of NEA executive committee, Mahendra Dhital (Deputy Director, CIDS), IOE Dean, IOE Deputy Dean, Prof Dr Prem Nath Maskey, Prof Dr Indra Acharya, Anil Marsani, Shree Ram Dhakal were instrumental in this achievement with their continuous support to set up H&S study work in Nepal. The study will be undertaken by IOE and SONEUK. We appreciate and thank to Scotland’s Engineers and PhD students , SONEUK advisor and Professor Keshav Dahal, advisor Ganesh Thapa and advisor Dr Keshav Bhattarai who made this programme to happen. 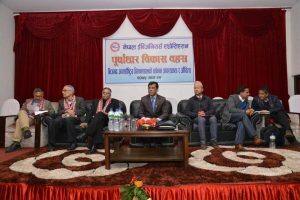 An interaction programme with SCAEF (Society of Consulting Architectural & Engineering Forms) was attended with active interaction by senior personnel and SCAEF officials including Rajesh Thapa (President), Krishna Sapkota (Gen. Secretary), Tuk Lal Adhikari, Badan Lan Naychhyon, Ram Bahadur Shrestha, Dr. Mahesh Rimal (Sydney), Dr. Anil Mishra (Paris) and so on. SONEUK presentation by then President Ghanshyam Poudel was mainly focused on introducing SONEUK, discussing how the projects are being practiced around this part of the world, and seeking scope that SONEUK and SCAEF can work together. We were talking about RIBA Plan of Works, FIDIC forms of contracts, NBS n NBS Create, SMMs and NRM3, NI 43-101, JORC etc. Presentation can de viewed here.